« The Winner of the Confused Cardinal Competition is… Cardinal Dolan! Well, blow me – guess who’s a candidate for the application of Ad tuendam fidem? Go on, give up – you’ll never guess! What about the Edinburgh priest who ran that scandalous late night agony uncle phone in show on the east coast every Saturday night into Sunday morning? He used to refer people to the gay switchboard, encouraged abortions and I remember reading that he even congratulated a couple who were living together on the birth of their child! If he’s not a candidate, who is? Fr (Call me Andy) Monaghan is one of the priests who featured often in our early newsletters and we wrote separately to the then Archbishop, later Cardinal, O’Brien to ask him to discipline this priest. Always, excuses, excuses, excuses – in fact, the Cardinal defended him even in the face of a public rebuke from the Vatican. All recorded in the newsletter, over time. I think the priest in Cambuslang who openly supports TIE in schools, is a definite candidate for Ad tuendam fidem. He should have been disciplined long ago. You refer to Father Paul Morton, Parish Priest of St Bride’s Cambuslang, who has worked with the LGBT “Time for Inclusive Education” (TIE) lobby to promote LGBT rights in schools in Scotland. I agree. Were the bishops faithful to Canon Law and the additions inserted via Ad tuendam fidem, he would have been disciplined long ago. Having engaged in extended email correspondence with his Bishop, Joseph Toal of Motherwell, I can tell you that that ain’t gonna happen – believe me. I’d like to see all the Irish politicians of the last few years, including the former President Mary McAleese excommunicated. They have publicly gone against the Church’s teaching on morality and in McAleese’s case, also on women’s ordination. The reasons why the bishops don’t do this, IMHO, is because they also should be excommunicated! Half the time they agree with these politicians. The Church is really and truly the suffering Mystical Body of Christ in our times. It’s very sad. 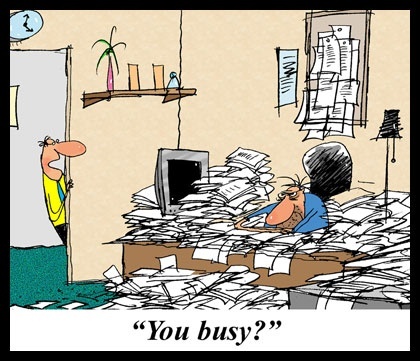 Your list is my list! Added to which I would include all pro-abortion “Catholic” politicians in the UK. Your final paragraph – spot on. I think every pro-abortion politician should be excommunicated, not just refused Holy Communion. Am I right in saying that only Archbishop Lefebvre and his four bishops have been excommunicated throughout this whole period of crisis, post-Vatican II? I think some dissenters have been excommunicated since V2, but often these are set aside, like the Call to Action people in America, when they said they did accept all Church teaching. They use code, but I think it’s likely that they are dissenters, and if so, they should be reminded about Ad tuendam fidem! I didn’t know there was a Call to Action group in the UK – WOW! Thanks for that. Will study the link later. Like, maybe, 2021, the way things are going! Gosh, I looked back now, a couple of hours after posting my question and still no answer! I’m beginning to see why you have decided to close the blog, Editor. I thought this would be a quick way to get the answer to my question but I think I’ll go search to see if I can find the answer myself. I know some folk will say I should have done that to begin with, LOL! Touché! Interesting….. Could this be the REAL reason for the historic visit to the UAE? What surprises me is that the Moslem believe they are the one true religion so they won’t be keen on the idea of religious liberty. I wonder if they’ll tell him that, put a spoke in his wheel, LOL! The plot thickens….PF says religious pluralism is “willed by God” — and calls Christians and Muslims to enter the “ark of fraternity”….! Before long we’ll have both sides assuring us we ‘have to go down the Chrislam road’ in order to achieve world peace and prevent further terrorist atrocities, such as Sept. 11th. Sorry, still no good. Best to visit the lifesitenews website and read it there. The open letter from the Catholic converts to Pope Francis warns in detail of impending danger from Islamization, stating, “This is a matter of life and death, and any complacency towards Islam is treasonous. We do not wish the West to continue with Islamization, nor that your actions contribute to it. Thank you for that link (well, the one that opens, anyway) because that letter from convert Muslims is a real rebuke to Papa Francis. Amazingly, only today I was discussing with a friend, whether or not Muslims in this country or in the west generally, would be allowed to convert (I mean, without being punished by their own families). When you consider the pathetic crop of unworthy men who populate the hierarchy, you are forced to the conclusion that there seems to be a serious, even mortal defect in the way bishops are appointed, and also elevated to the Cardinalate. Are these candidates actually examined, or are they just the beneficiaries of intense lobbying by special interest groups in the hierarchy/clergy? The Lavender Mafia lobbies for its “man,” the Freemasons for theirs, the Communists for theirs, the ecumaniacs for theirs, the embezzlers for theirs….and certainly there’s much overlap among all these cabals. It seems to me that a rigorous examination of faith should be required for anyone being considered for acceptance into the Apostolic succession. Rigorous, not perfunctory; deeply challenging, not a list of check-boxes. In fact, something like what the old canonization process was, before JPII ruined it. Speaking of JPII, it would be interesting to investigate how many in the hierarchy currently embroiled in scandals were appointed/elevated by him. I couldn’t agree more, and I’m sure that was the case at one time, but not now. I think they’re just picked on the recommendation of other bishops – the blind leading the blind! Too true there is a defect, mortal, as you say – they don’t consult me ! Nor moi ! Seriously, your final point is one for the history books. You put your finger on a key aspect of the problem: what Pope John Paul II was good at, no great at, was producing documents. 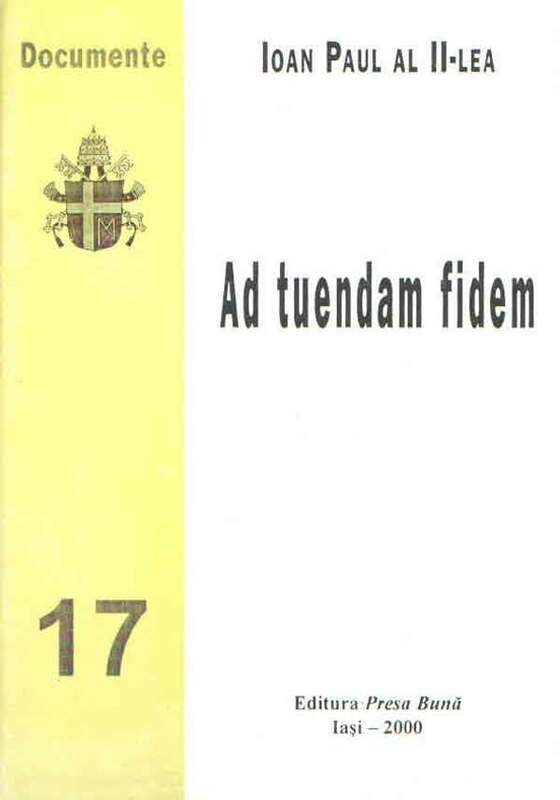 Ad tuendam fidem is one such treasure, as is Veritatis Splendor, where he instructed the bishops to toe the moral line and, among other things, remove the word “Catholic” from any institution which either failed to deliver Catholicism or openly attacked it, thus causing immense scandal. The school system springs to mind. What he was NOT so great at – indeed, what he admitted openly in his final book – was that he failed to act against dissenters himself. Murmured something like he should have been more firm with them, blah blah, and I do mean “blah blah”. So, excellent final point. On the button, as ever. I believe the failure to discipline dissent is one of the hallmarks of Vat. II, started by Paul VI, who took John XXIII’s baloney about “mercy” to heart and decided that all that was needed to correct dissent was a written document re-stating the truth. No disciplinary action required! Clergy and theologians will recant on their own, because, after all, modern man, with all his new-found “dignity,” has outgrown all that archaic discipline! And people wonder why we have anarchy in the Church…. Editor: I’ve no idea why this comment went into moderation. The wonders of WordPress yet again! Apologies. I completely agree – there is no authoritative voice in the Church at all today, the pope and bishops just think if they write a document or make a public statement, just re-stating Church teaching, that’s all that is required. I totally agree with you there. It’s an excuse though, it’s really moral cowardice, to stop them becoming unpopular with the liberal elite. They know they are already unpopular with real Catholics. I found this list of bishops appointed by JP II. Cupich (now Cardinal) and Mahony (now disgraced) are the first ones that caught my eye. I’m sure the bloggers will know about others. Unfortunately, I haven’t had time to study the list but will do so in due course. Another interesting piece of data: according to this list, “Bishops by appointing Pope,” JP II appointed 28 during his long pontificate; Francis has already appointed 40! Talk about stacking the hierarchy with poison…. “Please, please,” said the high voice of a wooly lamb, who was so young that everyone was surprised he dared to speak at all. You know how sad your own dog’s face can look sometimes. Think of that and then think of the faces of all those Talking Beasts–all those honest, humble, bewildered birds, bears, badgers, rabbits, moles, and mice–all far sadder than that. Every tail was down, every whisker drooped. It would have broken your heart to see their faces. That was very prophetic that book.